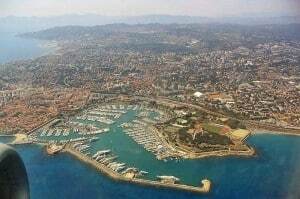 Antibes is the second most populated city in the department. 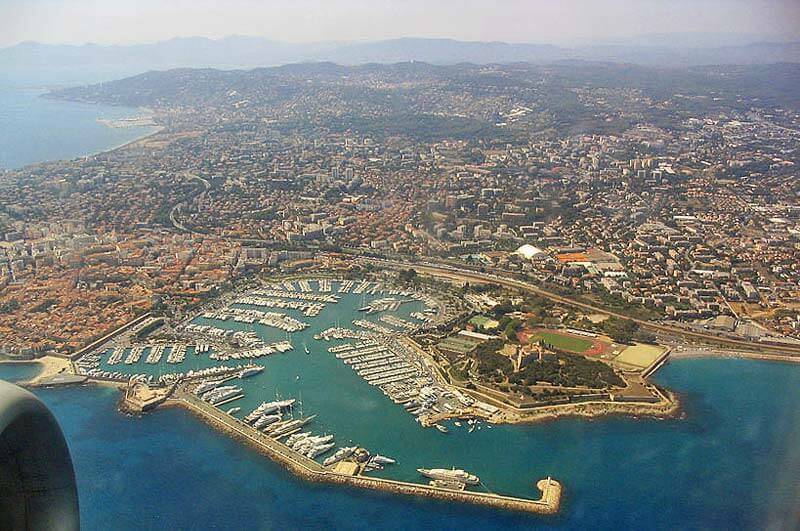 Antibes is located 23 km south-west of Nice (county seat), VTC Nice , 15 km south-east of Grasse and about 10 km east of Cannes. Its population places it in second position of the Alpes-Maritimes department. The path of Tire-Poil, old customs path. The old herbalism, Place Nationale. The laundry, rue du lavoir. Memorial on the mobile gendarmerie barracks, 24/6 squadron, rue Général Vaudenberg. Column of the National Square. Door of the old Masonic lodges. House where was erroneously placed the plaque indicating the place of imprisonment of the guard of Napoleon I, because the latter was in fact locked in the Masonic lodges. Gravette beach, between the old town and Vauban harbor. 1940: Paradis perdu, by Abel Gance, with Fernand Gravey, Micheline Presle, Elvire Popesco. Scene shot around Bacon Point. 1952: The Four Sergeants of Fort Carré, by André Hugon, with François Patrice, Michel Jourdan, Jean Carmet. Buddies, love … and sports. 1955: Napoleon, of Sacha Guitry, with Daniel Gélin, Raymond Pellegrin, Michèle Morgan, Sacha Guitry and stars of the time, some, like Jean Gabin, in a very short role. 1966: Let’s not get angry , Georges Lautner, with Lino Ventura, Jean Lefevre, Michel Constantin, Mireille Darc, Tommy Dugan. Scenes filmed at Cap d’Antibes and final stage at Akou-Akou, mythical nightclub located in Valbonne. This nightclub has disappeared, like many others of this type, following a fire of undetermined origin. We see in this scene students of the Lycée d’Antibes (not yet called Audiberti) dancing the jerk on the air of Van Morrison’s Gloria, around Mireille Darc. 1967: The Cracks, Alex Joffé’s film with Bourvil. The scene of the arrival in San Remo of the cycling race was filmed in the enclosure of Fort Carré. 1969: The Sirene of Mississippi , François Truffaut, with Catherine Deneuve and Jean-Paul Belmondo. A scene shows Belmondo pass the parapet in front of the door to the Place Revely to enter a window of the building to the left of the door, supposed to be a hotel where Catherine Deneuve lodges. 1970: On a tree perched, Franco-Italian production, directed by Serge Korber, released on the screens in 1971, including Louis de Funès, Olivier de Funès, Geraldine Chaplin, Alice Sapritch. The last shot of the film is an aerial view taken by helicopter by Daniel Vogel of a small island between Antibes and Golfe-Juan, near La Garoupe64. 1983: Never again, Irvin Kershner, a James Bond with Sean Connery, Klaus Maria Brandauer, Max von Sydow. Scene shot in the Square Fort. In a 9-hectare park, located at the extreme tip of Cap d’Antibes midway between Cannes and Nice, the Hotel du Cap Eden Roc dominates the Mediterranean. The Cap d’Antibes is a preserved jewel offering an island of greenery at the edge of the water. In the heart of the Côte d’Azur, 15 km from Nice airport, the Sophia Country Club is now a unique sports resort in Europe. It offers 155 fully renovated rooms, a terrace restaurant, a bright lounge bar.